Recently, Tecmo Koei announced the release of three new downloadable packs for recently released fighter, Dead Or Alive 5! The packs are available to download now on Xbox Live and PlayStation Network. Gym Class (€4.99 / 400 MSP) – Break a sweat in style (and with a smile!) with these traditional gym uniforms for Kasumi, Ayane, Hitomi and Kokoro. 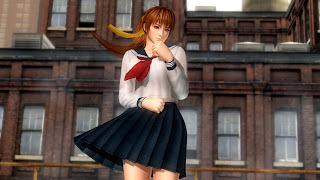 Uniforms (€4.99 / 400 MSP) – Kasumi, Ayane, Hitomi and Kokoro hit the books with class in their classic schoolgirl uniforms! 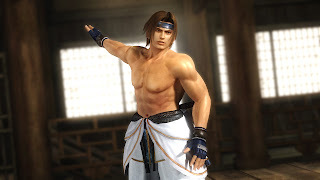 Special Set 2 (€4.99 / 400 MSP) – It’s Ayane’s turn to try on her overalls, while Hayate shows off his perfect pecs, Mila hops into her bunny whites, and Leifang busts out in her black leather vest and short-shorts. Also available now for fans to purchase is Round 3 Costumes – Full Set (€12.99 / 1040 MSP), which includes all three downloadable packs at a special discount.